We’re all-too-familiar with the humble skateboard: we see kids playing around with them at void decks, older teenagers and young adults perfecting their skills and tricks at Somerset Skatepark, perhaps even tried skateboarding ourselves at East Coast Park. But how many of us know what a longboard is? 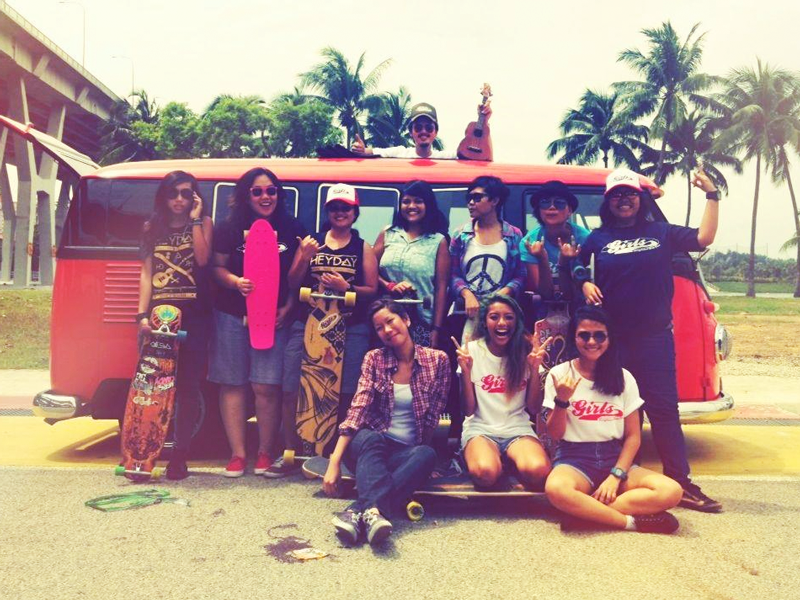 I spoke with Lennat, an ambassador of Longboard Girls Crew Singapore, to find out more about the sport. She works as a digital media producer and loves skating on her longboard. She also plays the drums in local bands like Obedient Wives Club and No Pantz. What is the difference between a longboard and a penny board/skateboard? In layman terms, a longboard is exactly what it’s termed — a long board. Compared to normal skateboards, longboards have a longer deck length and width, bigger trucks and wheels. Because of its size, a longboard is usually more stable and heavier so it’s harder to do tricks that you normally see a skater do on a regular skateboard. But longboards come with their own set of tricks and different disciplines, like downhill, dancing, freestyle, free ride, slalom, cruising, etc. 100% skateboarding for love, for fun. No rules, no divisions, no schools. You can read more about about the longboard here and here. What makes longboarding a unique sport? Dancing: Amanda Powell is one of the most graceful board dancers I know. Speedboarding: Racing downhill. You need a real sturdy and hard deck, with hard wheels to do that. And most importantly…having fun! You can do this with any board. But this is my favourite longboard video. There are so many more things about longboarding that one can explore really. There’s a wealth of information on the Internet. But the best way to get into it is to get a longboard and start skating! Where can you longboard in Singapore? In Singapore, if you are into cruising long distance, you can skate around East Coast Park. Cruising around the city is possible as well, but please wear your safety gear when you are on the road. I would personally say you can skate any place where it’s allowed. This is the video that got me started skating and eventually joining Longboard Girls Crew. I was attracted to how much fun the girls were having skating around Madrid in the morning. To me, that’s what skating is about — having fun with your friends. Like music and the arts, pursuing skating as a career in Singapore would be quite challenging. Personally, I see it more as a fun activity that I do when I have the time. And I probably can’t dedicate enough time to practice to make it a career of any sort. But to those who have the dream of pursuing skating as a career, don’t let anything stop you. If you want it bad enough, invest your time and keep on skating and practicing your craft. With drive, passion and steadfast dedication, one can achieve anything you set out to do. What is a common misconception about longboarding? That it’s something totally different from skateboarding. Longboarding is skateboarding. It’s funny how people insist we tell them the difference. But essentially, longboarding is just another form of skating. Yes, the boards are longer and the wheels are softer and bigger (depending on the style) but at the end of the day, we all skate. What do you think more people need to know about this sport? Every sport comes with its fair share of potential injuries. The chances of me spraining my foot playing basketball, as compared to me spraining my foot while skating might probably be the same — if I am not careful. As long as you protect yourself with the right safety gear, you can prevent fatal injuries. There is a certain level of danger with skating, especially when it comes to downhill where speed is of the essence. But like any sport, one just needs to keep on perfecting your craft, and skate safe. There are also tons of girls who skate these days. But of course, there’s always the stigma that girls cannot skate better than boys, or that girls should just not skate altogether because it’s dangerous and doesn’t seem to be a “girly” thing to do. But we live in modern times. And LGC has been constantly putting girls on the longboarding map around the world. It has definitely made an impact and is a great positive influence on female longboarding. What’s your advice to someone who wants to begin longboarding? Anyone can skate — young and old, girls and boys, and no matter the body shape. Skating is not rocket science, nor does it require one to have a body of an athlete. All it takes is willingness to learn. I fell and bruised a lot when I started skating, since I am not the most agile person on earth to begin with. But like life, you fall, you learn. Never be afraid of falling. Just get up and try again. As you get better, you will start to fall less. And my biggest piece of advice to anyone who wants to start skating is this: Stop worrying about what kind of board you should get. You are not going to find the perfect board to start. As you progress and know more about the sport, your needs will be different. So stop thinking so much. Do some research, go get a board and start skating already! Lastly, always wear a helmet. Skate safe and skate again tomorrow. What should one be prepared for? Some cash to invest in a board and safety gear. And tons of time skating if you want to be good. And be prepared to make friends that you will keep for the rest of your life. I’ve made some of my coolest friends in LGC around the world. Longboard Girls Crew originally started in Madrid in 2010. Back then, longboarding as a sport had just picked up momentum and the girls in Madrid started a local crew for girls to get together and skate. The vibe and energy is just different when you have a group of girls skating together. As time passed and the popularity of the sport grew, LGC become a global phenomenon, and has produced two brilliant documentaries: “Endless Road” and “Open“. LGC Singapore started in October 2011. Every country’s ambassadors have a simple goal: to build up a great local community for girl skaters to come together and skate, to be a positive influence and spread the stoke of longboarding. We want to encourage girls of all walks of life to pick up skating or at least try. We also organise skate trips overseas so we can skate in a different country and interact with other skate crews. So far, we have done two skate trips to Malaysia. Just late last year in November, we also had a longboarding workshop at Wavehouse to promote the sport. 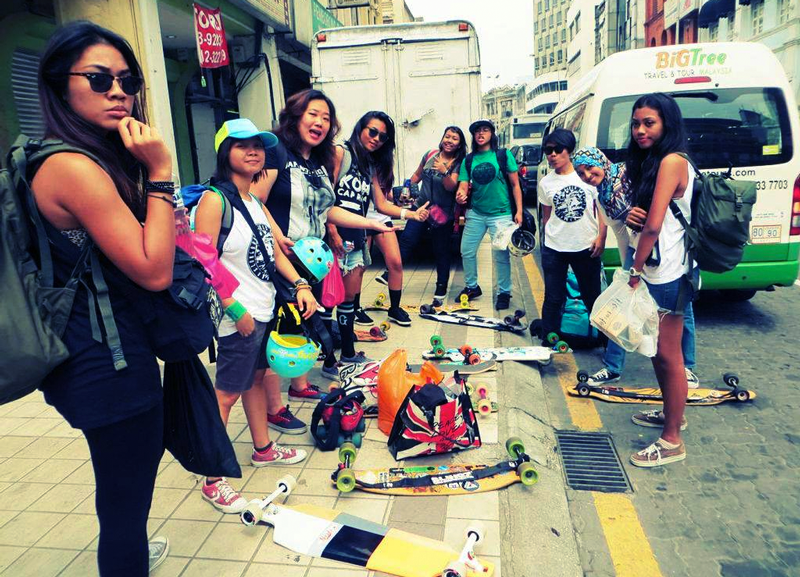 Longboard Girls Crew Singapore, in Malaysia! 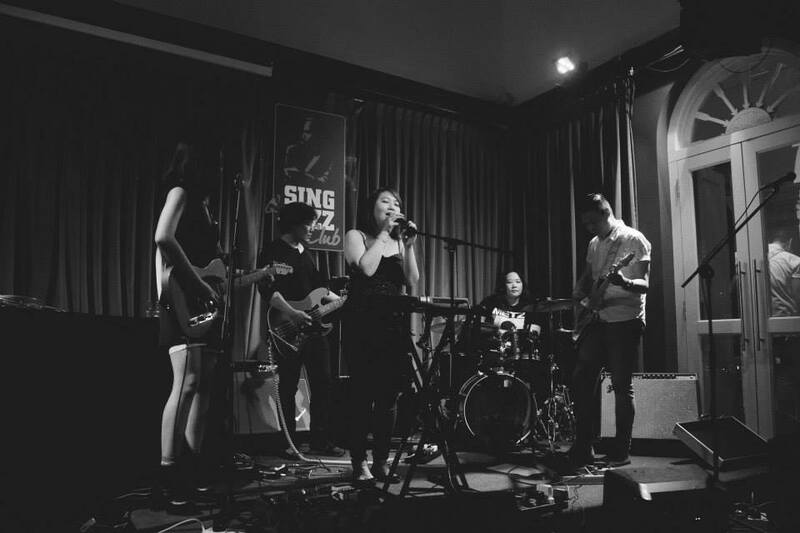 To find out more about LGC Singapore, check out their videos “Summer Surfin’” and “Cruise Control“, or visit their Facebook page to get in touch! This article is part 1 of a series in which I interview people who practice sports that are less mainstream, and debunk some common misconceptions people have about them.